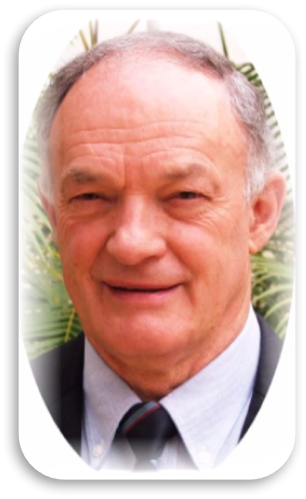 Originally from South Africa, Gerhard is a coveted speaker in conferences around the world, who has a deep burden to see a revival of praying men. He has witnessed many “mercy drops” of revival in God’s presence as he faithfully and passionately prays and preaches the Word. Along with a vibrant prayer life, he brings personal experience and a rich knowledge of God and the scriptures. 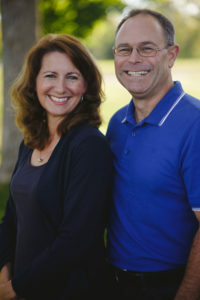 Gerhard and Janice have a daughter, Monica, who is in ministry with “Power To Change Students” at Simon Fraser University in British Columbia, reaching out to students with the Gospel and discipling Christian students. 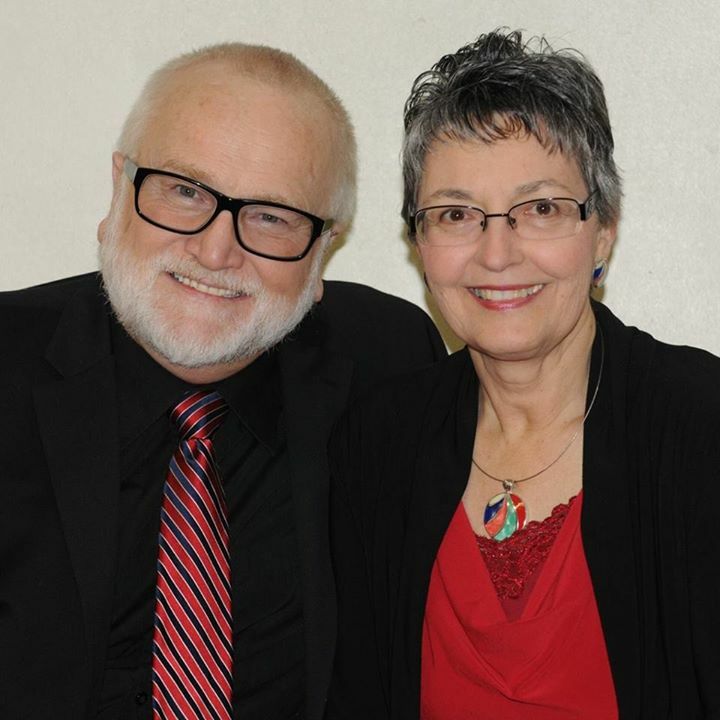 In 2011, Gerhard and Janice Du Toit sensed the Lord leading them to join Life Action Canada, and they have been serving full time ever since. 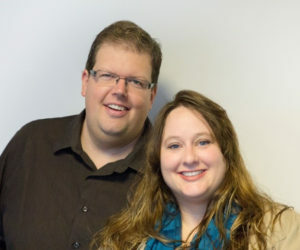 Peter and Michelle Davis felt the call from God to leave the comforts of the corporate world in 2006. It took them 3 years to come to terms with this calling and gain the courage to step away from the financial security they enjoyed. They sold almost everything, raised financial support and moved to the USA to serve with Life Action Ministries at the Life Action Family Camp in Buchanan, MI. Their heart for revival grew during this time and they felt a burden growing for the growth of Life Action in Canada. After traveling on a Life Action Team and then serving in the pastorate for more than twelve years, Dan now serves Life Action as a speaker, writer, and strategic leader. His responsibilities include Road Team Ministries, managing Revive magazine, and assisting with Life Action’s various outreach projects. Dan has a heart for Spiritual Awakening and in turn the fulfilling of the Great Commission. He is sensitive to the spirit and will guide and teach as directed. Dan and his wife Melissa have 7 children and currently reside in Niles, Michigan. Dan serves on the Leadership Team of Life Action Canada with focus on vision, strategy, content and international liaising. We are excited to have Dan and see what God has to say in and through him. Glenn has been married to Sheila for 31 years. The Duncans came to Peterborough to pastor Gilmour Memorial Baptist Church in 1991 and continued in that ministry until early 2004. 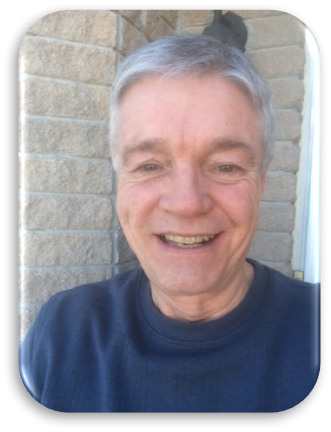 After resigning from Gilmour Memorial, Glenn took on the role of Facilitator for Church In The City, which is a covenant relationship of congregations across denominational lines and of ministries in Peterborough and the immediate area. 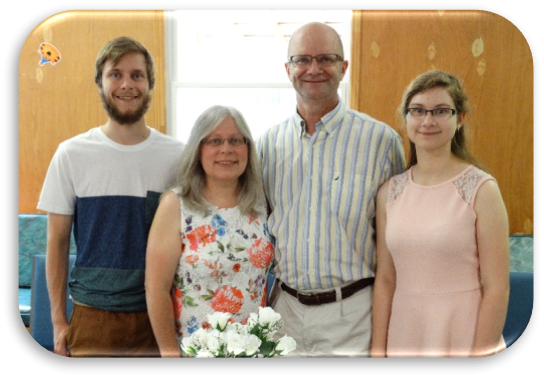 At present there are 25 congregations and 12 ministries such as Kawartha Youth For Christ where Glenn is a staff member providing spiritual mentoring for other staff. In addition, Glenn and Sheila lead Kawartha House Of Prayer, which calls people to join together to pray for God’s blessing on all aspects of life in Peterborough and the Kawarthas. 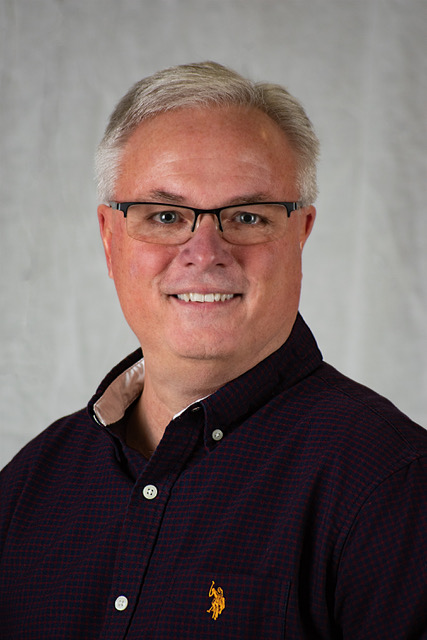 Glenn serves as the Leadership Development Coordinator of Life Action Canada with focus on ministry to Canadian revivalists and pastors/leaders at large with a view to fostering the message of revival in a consistent context as it pertains to Life Action Canada. Craig Callister currently serves with the Life Action Canada team as a part-time speaker and carries the message of revival into various events, conferences, and leadership meetings across Ontario. He is currently available to visit with churches that are interested in the Seeking Him study series and to engage with churches about how they can begin praying for revival. A graduate of Briercrest Seminary, Craig served as a discipleship pastor for five years at his church in Southwestern Ontario before continuing his policing career and investing more of his time to serving with Life Action. Craig is married to Rachel, and they live in Southwestern Ontario with their four young children. Craig serves as an itinerant revival speaker with Life Action Canada. His ministry spans 50 years and involves planting a church South Africa, serving as National Youth Secretary for the Baptist Youth of South Africa, pastoring the Florida Baptist Church, Johannesburg, South Africa, directing the work of Evangelism Explosion, founder and Executive Director of Multi Ministries. His ministry has included preaching at evangelistic crusades and outreaches, bible conferences, mission conferences etc. lecturing and teaching on evangelism, discipleship and missions at various seminaries, clinics and Christian leadership institutes. He has travelled and preached in many parts of the world including Africa, Australia, New Zealand, Europe, United Kingdom, Middle East, USA and Canada. Harold and Antoinette now live in Canada and they are involved in mentoring NAMB Church planters and various evangelistic and preaching opportunities. Harold serves as an itinerant revival speaker with Life Action Canada. Shawn has been married to the love of his life and best friend, Jenny, for 32 years. Two of their children are now married while the third is completing her post-secondary education. Raised in a home of Christian care and nurture, Shawn felt called to vocational ministry in his teens. However, it wasn’t until after a brief career in educational publishing that he finally submitted to the Lord’s leading, pulled up stakes, and moved to the U.S. with his young family to pursue theological studies. Passionate about renewal, he has served three congregations in Ontario. Presently serving as Lead Pastor at Living Hope Church in Peterborough, he is excited to see how God is breathing new life into believers and setting them free to more fully love and obey their Lord and Saviour. Convinced that the good news of Jesus has the power to heal and restore not only our relationship with God but also our relationships with one another, the mission of Life Action Canada resonates deeply with him. Shawn serves as an itinerant revival speaker with Life Action Canada. Harry grew up along the shores of Lake Erie outside the small south western Ontario farming community of Port Rowan. He is married to Rosemary and God has blessed them with two children. He currently serves in Madoc, Ontario and enjoys riding motorbike and woodworking when he has time. As a teenager Harry attended a Life Action Youth Conference where he surrendered to full-time ministry. Over the next 15 years God confirmed His call on his life for the gospel preaching ministry while living and studying in Ontario, Newfoundland, Wisconsin and Pennsylvania. Over the past 25 years he has had the joyful privilege of pastoring churches in Woodstock, Oakville and Madoc. Along with pastoral ministry, Harry has served overseas in Africa and South American as a conference speaker. It is Harry’s passion to faithfully preach the Word of God for the purpose of exalting God’s glory among all people. He has made preaching and its relationship to revival a personal study. A number of years ago he wrote his doctorate dissertation on “The Role of Preaching Scripture in Promoting Revival in the Local Church.” He is firmly committed to the local church and desires to see God’s people passionate about Him and making His greatness known to others. He preaches from the perspective that God is establishing His kingdom and will sovereignly triumph and accomplish His kingdom purposes. Harry rounds out our competent team of itinerant revival speakers at Life Action Canada. 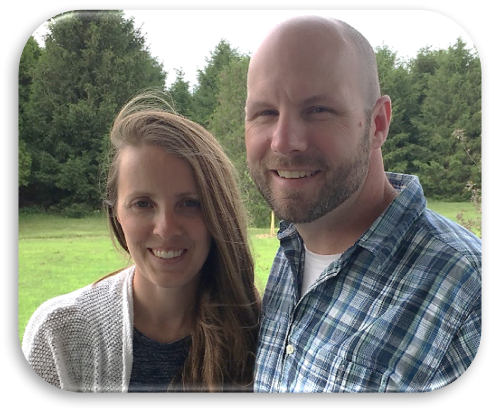 Tim and Jackie have a driving passion to see transformation in themselves and others through the powerful work of the Holy Spirit. Tim is married to the love of his life, Jackie and they have two grown sons who are both involved in the work of the Lord. They also have four wonderful grandchildren. Tim spent 23 years in the business world enjoying a great career. In 1994 Tim responded to a divine calling to ministry and he has been serving as a Lead Pastor ever since. 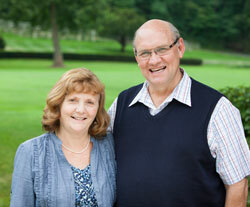 Tim and Jackie Harden currently serve as the pastoral couple at Hope Chapel in Collingwood, ON. Both Tim and Jackie are praying for revival to break out in Canada as they and others humble themselves in prayer, seeking God for what only He can do to transform lives in our wonderful country. Tim joins us as our Strategic Ministry Initiatives Leader.